WASHINGTON (CNS) — With his election as speaker of the House of Representatives, Rep. Paul Ryan may have taken the most difficult job in American politics. The Wisconsin Republican is faced with keeping his party’s conference unified as he takes a position that places him third in line for the presidency. He has vowed to change business-as-usual in the House by building broad consensus for legislation and pledged to eschew last-minute, closed-door deals. In accepting the position after his election Oct. 29, Ryan said he wanted to get the House working again for the American people who work hard every day but continue to slip backward economically and see little hope from their elected representatives because they see “chaos” in the House. “Let’s be frank. The House is broken. We’re not solving problems. We’re adding to them, and I’m not interested in laying blame. We are not settling scores. 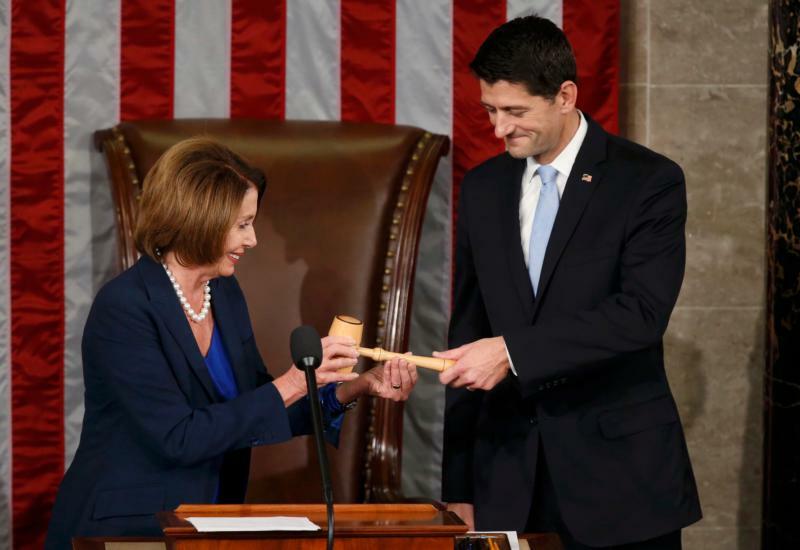 We are wiping the slate clean,” he said from the speaker’s podium. Ryan’s leadership skills will be tested as he faces the prospect of having to corral the House Freedom Caucus, a group of about 40 ultraconservative representatives who loathe any compromise with Democrats and President Barack Obama. Observers from Catholic agencies who have worked with the former House budget committee chairman call him intelligent and ready for the task. They credit his two-plus decades of experience on Capitol Hill and his expertise in how the government works, including the budget process. They said he appears to want to solve the problems facing the country, especially the needs of 46.5 million Americans living in poverty. “Regardless of what position he’s in, we want to continue to work with him because he’s a policymaker who cares about this (poverty) issue,” said Brian Corbin, senior vice president for membership relations at Catholic Charities USA. While Ryan is not one to wear his Catholic faith on his sleeve, several observers noted that he understands Catholic social teaching and comprehends the guiding principles of subsidiarity and solidarity. “You can use the language of the church and immediately engage in conversation with him,” said Jayd Henricks, executive director of the Office of Government Relations of the U.S. Conference of Catholic Bishops. Ryan also is said to have cemented his relationship with the some members of the U.S. church hierarchy and counts as close advisers Cardinal Timothy M. Dolan of New York, who is former archbishop of Milwaukee, and Bishop Robert C. Morlino of Madison, Wisconsin, 40 miles northwest of his home parish, St. John Vianney, in Janesville. Catholic observers also credit Ryan, a nine-term veteran of the House, for his pro-life votes on abortion and his support for the U.S. church’s stance on religious liberty. Catholic Charities maintains what Corbin described as a good working relationship with Ryan. In March 2014, Ryan visited a Catholic Charities program in Racine, Wisconsin, in his district, where he met clients who had been teamed with a case manager and learned how they were on the way to self-sufficiency. He later convened a House budget committee hearing on alternatives to addressing poverty and invited a Catholic Charities director from Fort Worth, Texas, to testify. Later that summer, he highlighted case management services in his proposal to tackle poverty, which he called Expanding Opportunity in America. It encompassed a series of measures he believes will reduce poverty. At the time he said it was meant to jump-start a nationwide discussion on poverty, which has yet to occur. While not an ideal proposal in the minds of some advocates for the country’s poor, observers said it shows that Ryan is willing to adapt his thinking when he encounters new information. Corbin said Catholic Charities continues to advocate for funding intensive case management in the campaign to end poverty. Corbin told Catholic News Service that Ryan maintained in meetings with agency officials that “government is the rearguard and social service agencies are the vanguard” when it comes to serving poor and struggling people. While Ryan’s interest in poverty has been lauded, it also has raised some concerns among advocates because his budget proposals have called for deep cuts in vital social services, including those aiding poor people, children and the elderly. In the past, two committees of the U.S. Conference of Catholic Bishops went on the record expressing concern for deep spending cuts in programs such as the Supplement Nutrition Assistance Program, housing subsidies, Medicaid and Medicare in letters to Congress. The concern ran so deep that in 2011, the USCCB convened the Circle of Protection, an umbrella organization of faith-based allies vowing to protect funding for social services and international developmental aid. Still, Henricks told CNS he has found Ryan willing to think in new ways to approach the country’s problems. “While at times we may have challenged the priorities he and the Republican conference may have identified, I will say he (is) … still trying to think creatively about how to address poverty. We may not have always been on the same page (on the budget), but I would say he has a real desire to address poverty in a real way,” Henricks said. There have been more vocal challengers to Ryan’s policies. Sister Simone Campbell, executive director of Network, the Catholic social justice lobby, has publicly sparred with the congressman on host of issues. However, Ryan faces other trials, Sister Simone added. She also expects that Ryan will be confronted by “individualists” in the Republican conference who want to greatly reduce the role of government no matter the social cost. What’s certain is that Ryan did not seek the position with its supposed prestige. One advocate, who asked not to be named, suggested he was “taking one for the team” in a time of tumult in the Republican conference. The advocate said the party must show that it can govern given while they hold majorities in both houses of Congress. With a budget deal now passed and the debt ceiling raised until March 2017, Ryan is starting with a clean slate primarily because of the work of Rep. John Boehner, R-Ohio, the outgoing speaker. Whether Ryan will be as influential on key pieces of legislation as he was as chairman of the House Committee on the Budget and then this year as he began to rewrite tax policy as chairman of the Committee on Ways and Means is not likely to be seen between now and the 2016 election. The same holds for immigration reform — a major goal of the U.S. bishops — as Ryan is reported to have agreed not to bring any bill on the issue to a vote as long as Obama is in office. But if Ryan can change the tone coming from the Republican-controlled House, it may signal to voters that more can be accomplished beginning in 2017 no matter who wins the coveted White House. An excellent place to start would be a comprehensive revision of the internal revenue code. Also the US Post Office should be permitted to make “payday loans” instead of the poor having to pay exorbitant interest and fees to check cashing agencies and payday lenders. This would drastically improve the fiscal picture for those living day to day, week to week while helping the Post Office’s revenue and deficit. In the aftermath of 2008, “too big to fail” saved the western financial system. The bailout was supplied by the US Treasury and Federal Reserve, but those at the bottom of the economic heap lost their homes and jobs. Break up the big banks, thereby fostering free enterprise and competition, not oligopoly and oligarchy. Remember Teddy Roosevelt, the “trust buster?” Place a small transaction tax on all Wall Street transactions. Does anyone really believe that high speed computer trading, whereby buy and sell orders are generated by hundreds of thousands per second by each computer (and are sometimes cancelled before they can be executed) really constitutes “investing”? What a sham! That Thomas Piketty had it right, the rich are only getting richer and the rest of us poorer. The greatest Republican ever, Abraham Lincoln, at Gettysburg had it right when he invoked or prayed that: “Government, by the people, of the people and for the people shall not perish from the earth.” Modern day Republicans need to heed the “for the people part.” And just maybe listen to Senator Elizabeth Warren on economic matters.